It’s a very significant piece of Nineteenth Century sculpture – both for its artistry and for its heroic depiction of African American soldiers. 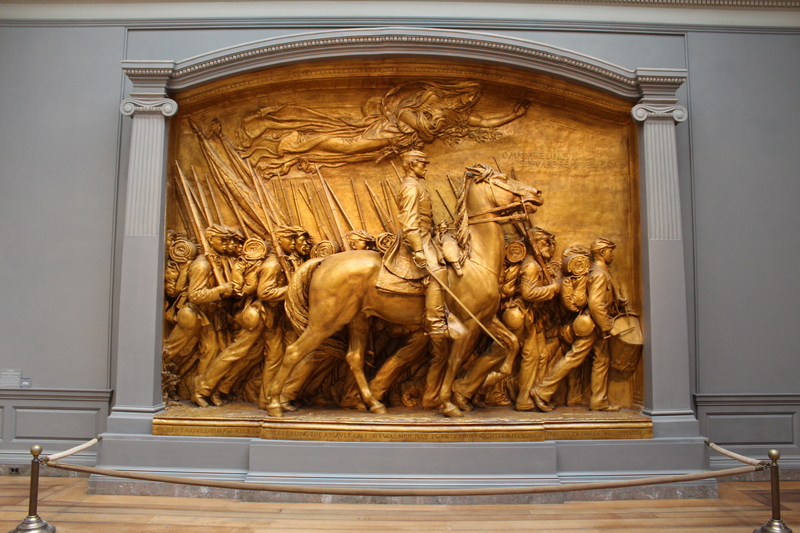 It took Saint-Gaudens fourteen years to complete, and you can see why when you notice how meticulous the detail is. Today it sits in a place of honor in Boston Commons, but you don’t have to travel that far to see it. There’s a plaster cast of the sculpture prominently displayed in a room at the National Gallery of Art, and there will be a major exhibit about the memorial opening in September. It’s definitely worth a visit, but be sure to also visit the neighborhood of Shaw, about a mile due north of the National Gallery. The area was first settled by freed slaves during and after the Civil War. It grew into a neighborhood of distinguished Victorian row houses, and became the home of an African-American cultural and intellectual movement that pre-dated the Harlem Renaissance in New York. Like some other D.C. neighborhoods, it took its name from a nearby school – Shaw Junior High School, which moved into a prominent, curved building on Rhode Island Avenue in 1928 (today it’s an apartment building called Asbury Dwellings). Shaw fell on hard times in the late Twentieth Century, particularly after the 1968 riots in Washington after the assassination of Martin Luther King, Jr. But it’s been undergoing another renaissance – and some extremely rapid gentrification – over the past few years. There’s a lot of history to see in Shaw, but if you want to continue the Civil War theme, you can visit the African American Civil War Memorial and Museum (at the U Street metro’s 10th Street and Vermont Avenue exit) to learn more about the 54th Massachusetts and countless other African American soldiers. 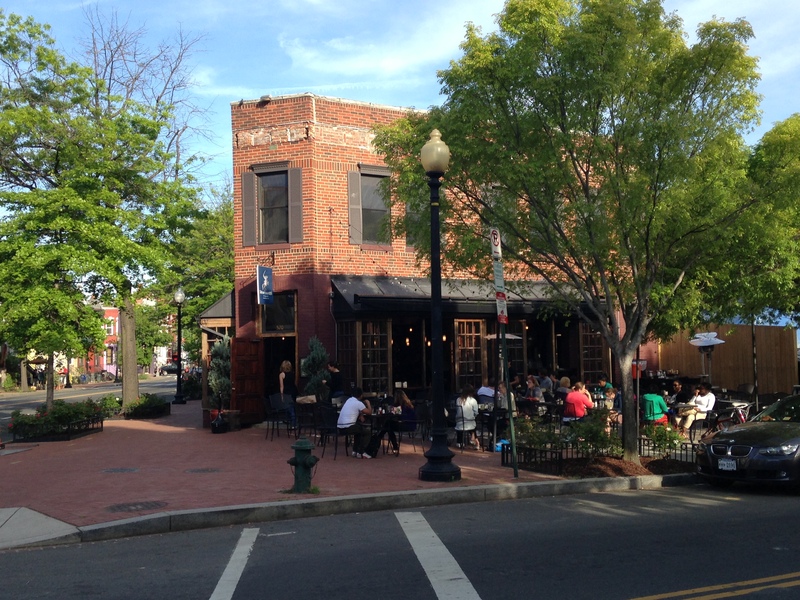 And you can top it off with a stroll to nearby Shaw’s Tavern – an appropriate place to raise a glass to the 54th and to Colonel Shaw. A view of the Shaw Memorial in the National Gallery. Asbury Dwellings, the former Shaw Junior High School. Shaw Library, a view of modern day Shaw. Finding some shade at Shaw’s Tavern. Glory is one of my favorite movies EVER, and I’d never made the connection between Shaw and Shaw! Now I want to live there. Or at least watch Glory again. Awesome post!